Disclosure: This post is sponsored by Blue Buffalo™ and the BlogPaws® Professional Pet Blogger Network. I am being compensated for helping spread the word about BLUE Santa Snacks™, but Budget Earth only shares information we feel is relevant to our readers. Blue Buffalo™ is not responsible for the content of this article. As some of you know, this holiday season is really exciting for us. Not only is this one of the first holidays in years we aren’t traveling across the country, but it will be Ivi puppy’s very first Christmas. We are excited for her to open her very first Christmas presents, especially since we know both grandmas will be spoiling this cute little puppy. With all the excitement though, we want to make sure that Reya and Ivi both have gifts and healthy dog treats to open on Christmas day. 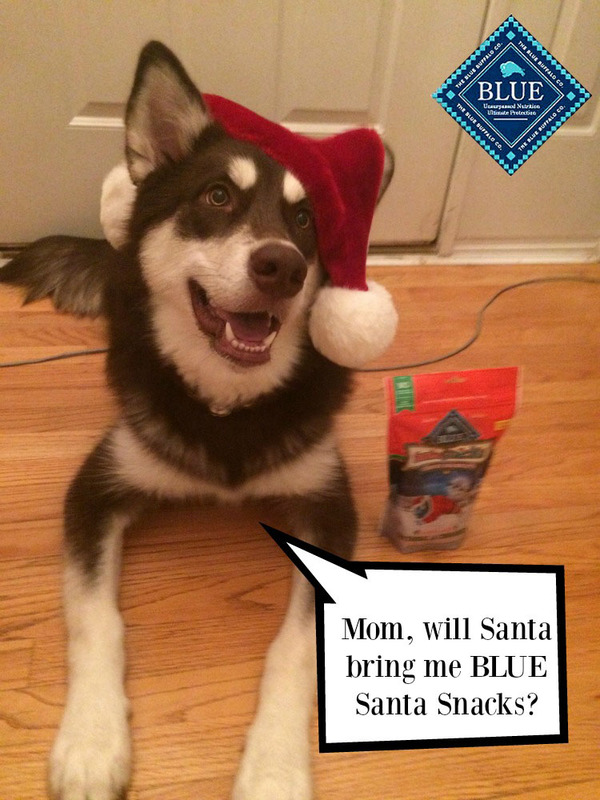 Luckily, we found the perfect stocking stuffers for dogs at PetSmart® – Blue Buffalo™’s BLUE Santa Snacks™! When I heard that these Christmas themed, healthy dog treats were made with natural ingredients, I knew they sounded perfect for our girls! For those of you who don’t know much about Blue Buffalo, they make some of the best dog foods and treats on the market. All of Blue Buffalo’s products are made with high-quality, natural ingredients, as well as a lot of love and care by dog owners just like us. Each member of their staff is a dog and cat lover and they feel that every pet is a member of the family who deserves treats made with love and respect. This includes their food and treats being made with real chicken, lamb, or fish, as well of plenty of whole grain, fresh-cut vegetables, and of course, yummy fruits. It isn’t surprising that many veterinarians and breeders choose Blue Buffalo! Of course, like all Blue Buffalo treats, these treats are only made with the finest, all natural ingredients. These grain-free dog treats do not contain corn, soy, or nasty chicken or poultry by-products. All you will find in these treats are delicious treats to drive your favorite dog wild on Christmas morning! 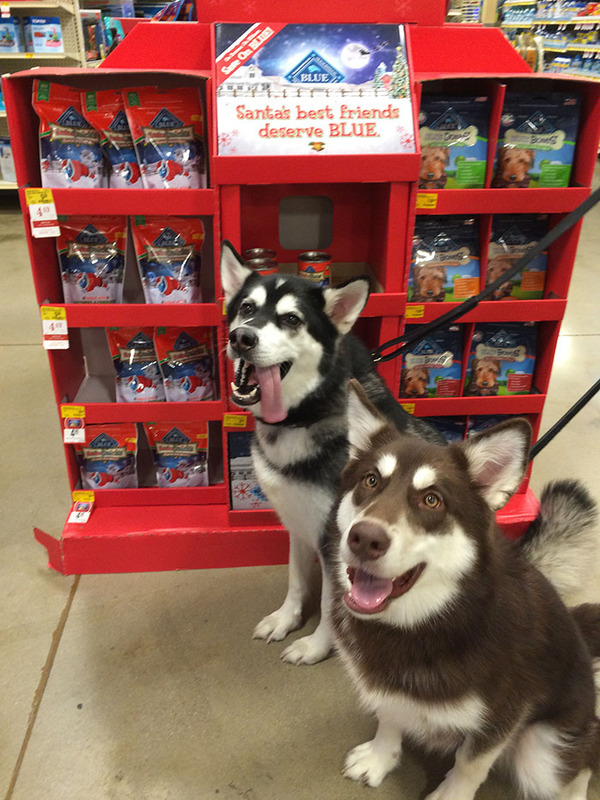 As you can see, Reya and Ivi are already excited to try these treats! Even though Ivi can’t have it (poor girl and her turkey allergy), Blue Buffalo also has a canned food made special for the holidays – BLUE Santa Stew Holiday Feast™. This canned food is made with real turkey, sweet potatoes, green beans, and of course, cranberries! Both the BLUE Santa Snacks and BLUE Santa Stew Holiday Feast are available for a limited time to celebrate the holidays. Want to purchase these awesome healthy dog treats for your dog this holiday season? 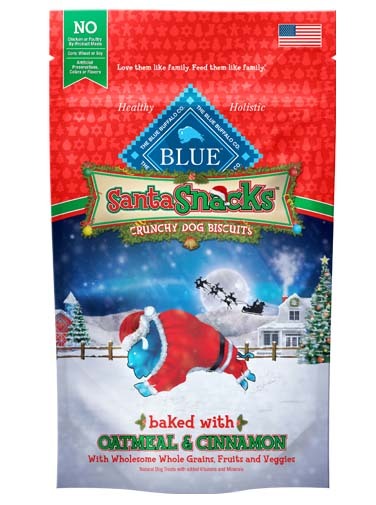 You can find the Blue Buffalo Seasonal Sensations line on the Blue Buffalo site or your local PetSmart. Don’t forget, that they also have special treats too to celebrate Halloween, Independence Day, and of course, Valentine’s Day! Can’t wait to see what Reya and Ivi think of these treats? Stay tuned for our special post about these treats at the beginning of December! Want to learn more about Blue Buffalo? Follow them on Social Media! I have heard nothing but amazing things about blue buffalo!! I love that they have something special for pets just for the holidays!! Too cute that they can have a special meal just like us!! These look like great dog snacks. Beautiful dogs! I really love the idea of holiday treats. I always look out for new products for my fur friend.Will look for these for sure. I had no idea that Blue Buffalo made snacks…I thought they only made dog food. Your dogs are gorgeous! Reya and Ivi are the most adorable friends ever! Have lots of snacks, cuties! 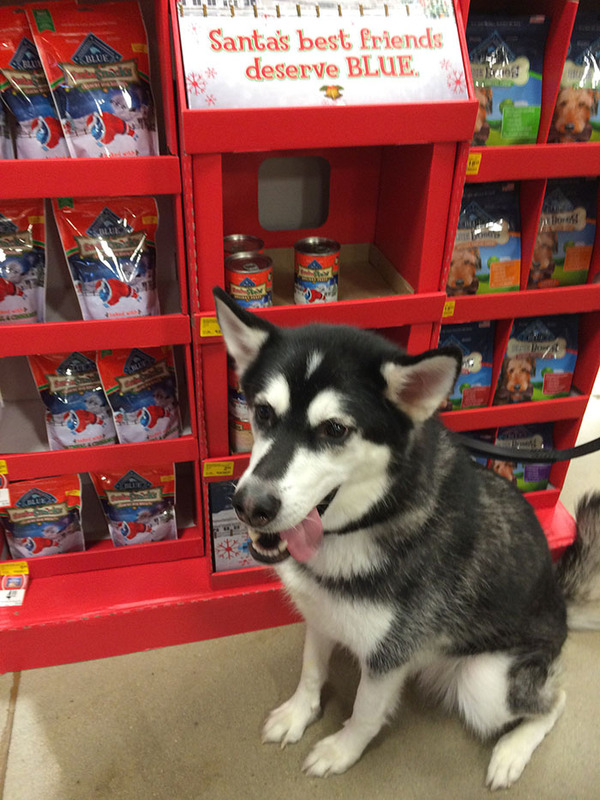 We have Siberian Husky, and he loves all kinds of treats, This is the first time hearing of snacks made by Blue Buffalo, this definitely seems something our baby boy would love. I had never heard of Blue Buffalo before! This was very informative! Such a great read! I was actually considering trying Blue Buffalo’s snacks and after reading your article, I’m in! Thanks for sharing, and including photos of those adorable pooches! Blue Buffalo #BLUESantaSnacks are healthy snacks for dogs that they love! Great choice if you are looking to treat your dog for Christmas or any day! Love natural treats for my sensitive dog! Thank u for the info! I love that they are natural. this is so cute. I get my dog Puffy presents for Christmas every year, usually treats and a new toy. I had no idea that Blue Buffalo made seasonal dog treats! I am adding them to my shopping list. He has a sensitive stomach, so I have to be careful what I feed him, but he has never had a problem with Blue Buffalo. Beautiful dogs as you already know. Great healthy treats too. These look like m dogs woud love them. I’ll have to let my family with dogs know about this tasty treat from the Blue brand! Your dogs are absolutely gorgeous! I’m going to have to try those seasonal Blue Buffalo treats, thanks for the post. Very nice review. The packaging is very eye catching & your dogs are beautiful. Your dogs are adorable! Thanks for the review. My dogs have allergies so I’m always looking for natural dog treats. I always get treats for my friend’s dog for Christmas. Wish they had a peanut butter one, but I’ll look for these when I’m shopping. I was owned by a Scottie for 13 years and I only fed him Blue Buffalo, I cannot say ENOUGH GOOD THINGS about the brand…and my Scottie had severe food allergies. I have a very choosy Yorkie and I was wondering about the cinnamon and if they have a very strong smell? Oh, I’m sure my german sheppard would just loooooooooove this!!! Beautiful dogs and so healthy looking. Reya and Ivi are two lucky dogs with their upcoming Christmas gifts. I’m going to metion and pass this on to my daughteer and son for the benefit their pups. Thanks the review. I’m not an animal lover,so I don’t keep any in my home. So, I really can’t comment on this product. If the dogs like it and it’s good for them that’s nice. I was wondering what to get for my grown children’s dogs for Christmas. These would be perfect. I don’t have a dog, so I can’t give my opinion on it! You have such pretty pups! I have heard about Blue Buffalo and will use it when I get my next dog in the spring. Thanks for sharing the info. I have not heard of these snack before but I bet my dog would love them. I like that they have natural ingredients. My cats love the rabbit flavored cat food. Will have to get these for my dogs to try! I always enjoy seeing pictures of your beautiful dogs! 🙂 I know Blue Buffalo makes great products, these sound well worth checking out; thanks for posting! My dog would really like these!! What beautiful dogs! I don’t think there is anything cuter than a dog in a Santa hat. I bet my dog would love these snacks. We have not had the opportunity to try this snack yet. Would love to try before I purchase. I’ve been debating if I should change to Blue Buffalo. My dogs eat Iams right now but I think I will try the switch and see if my dogs like it. My blue heeler would probably love the pumpking snacks. Let me just say these treats look nice, I love festive packaging. I have heard great things about Blue Buffalo. My mom uses them. I have to see if my Sophia will eat these. She is real picky and I never know. I have never heard of these treats. Awesome. I know my puppy would absolutely love these. My dogs love Blue Buffalo treats and food. I love it too because it is something healthy for them. With so many pet food horror stories these days it is nice to see a company that delivers great quality healthy foods for our pets. This is the only dog food we use. I’ve read a bit about Blue Buffalo, but it’s great to get a bit more information. I would love to get these for my Grandpuppies. We are always looking for good snacks for our dogs. I love that they have all natural ingredients. I will be getting a puppy for Christmas. I haven’t had a pet dog in almost 30 years. I hope the cats like her. I asked for a girl dog. These look very great and delicious for pup. Thanks for the review. They have such a good and healthy selection of pet foods for your family pet. I like their good selection too. If I still had a dog I’d give this to her. Your dogs are so beautiful. We love Blue! It was our dog food of choice for many years!